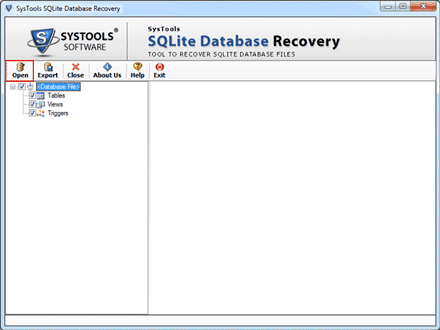 Sqlite Database Recovery Tool | Recover Sqlite File & it components. Recover corrupt Sqlite file and export it as Sqlite, MS Access or other databases. Scan and Preview Sqlite database components such as tables, triggers etc. Multiple Export options: Save as MS access, Sqlite and other database formats. Advance Search options within the database by using parse or keyword. No imposed File Size limitation: Scan and Recover file of any size ranging to 1.5TB or below. Data type mapping within the Sqlite database with other data types. 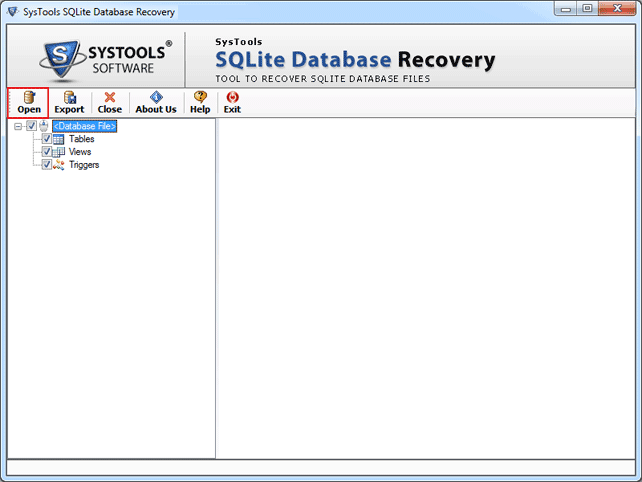 Repair and recover corrupt sqlite db files using the sqlite repair tool. 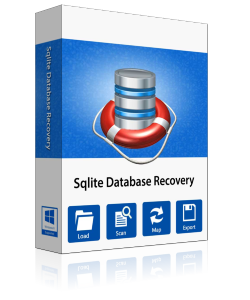 The sqlite recovery recover tables, triggers and other components of db files and provide the instant preview of the db files supported by the various OS (like android, Mac etc), browsers(like Mozilla etc) and applications (like Skype etc). 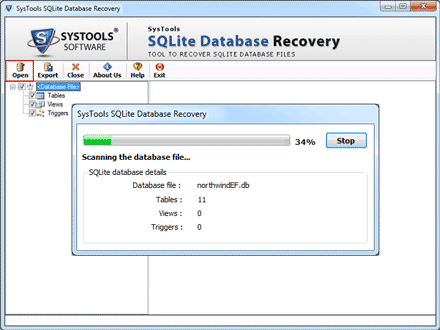 Corrupt Sqlite file repair can be done using the scan option provided by the repair tool.Sqlite Database Recovery tool automatically scans the database and repairs it if found corrupted and also show the live scan report (including number of item scanned) of the Database recovery process. Software support Sqlite File formats of various OS, browsers and applications such as android, windows, IOS, Linux, Mozilla, chrome, Skype etc.Sqlite *.db, *.db3, *sqlite3, and *.fossils extensions are also supported by the sqlite database file recovery. Also the user can explore these file using preview option. 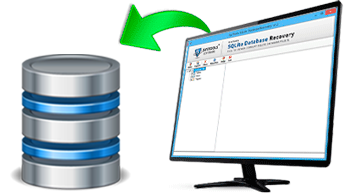 Tool provide 3 export options to save recovered Sqlite database file. Sqlite File Recovery software allows selecting items to export by using check or uncheck option on thye items. So the selective items such as tables, triggers etc will be exported without loss or compromise of any Meta data or any significant information using the sqlite recovery tool. The Sqlite Database Repair allows mapping the sqlite data type with other database data type when the user chooses to Export as DSN to other database. Although there is a default mapping option but the user can also map the data type according to his/her wish by changing the default mapping. Why to Use Sqlite Database Recovery? Recovery of Sqlite database means the restoration of a lot of lost crucial entries made into a very essential database. Sqlite is a highly used and implemented platform for/by applications and various operating systems which makes it one of the most essential data storing database file. Right from, computer operating systems, application data storage, to mobile operating systems, Sqlite is everywhere. Though, the ACID property complying database doesn't really get damaged very easily. But when it does, there is no manual way to bring it back into a stable condition. Thus, damage caused to such a database is considered unaffordable for being irreversible. The Software proves to be a dependable and intellectual approach. the sqlite repair tool can fix Sqlite database from unresolvable issues and make it accessible all over again. Built to serve Sqlite file repair from any given corruption makes the tool a successful selection. The application can be chosen for the recovery of Sqlite database of any application, operating system, or device as it is capable of processing and fixing database of any size. 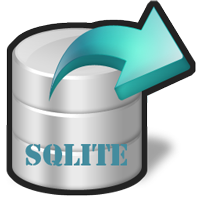 Besides the lack of a manual procedure to fix, the tool individually is a completely well integrated and versatile solution that offers recovery to and for Sqlite DB of any platform or of any platform such as sqlite for android, windows, Linux, mac, Ios, chrome, firefox etc In addition to that, the provision for a demoware version in Sqlite File Recovery makes it feasible for users to first examine the procedure with a test database and proceed with purchase once through with the Sqlite Database Recovery and familiar with its provisions. Sqlite is an SQL based relational database management system contained in C- programming. Its exclusive features facilitate zero configuration, transaction oriented and a thread safe database engine. Atomicity, consistency, isolation and durability executed by Sqlite make the database fully robust. The data in Sqlite database is stored in tables that contain multiple fields and data types and is accessed through the SQL commands on any Sqlite supportive system. Sqlite architecture is inclusive of seven major component subsystems, also referred to as modules. These component subsystems are divided into two sections, namely, frontend parsing system and a backend system. The frontend system is responsible to preprocess SQL statements and Sqlite commands that are sent as input by different applications. It analyses these statements and commands, optimizes them, and further generates corresponding Sqlite internal byte code programs that can be executed by backend. The frontend section further comprises of three modules, discussed as following. When an SQL statement contained in a string is to be executed, it is passed to the tokenizer which is responsible to break the original string into tokens and pass them to the parser, one by one. The tokenizer is coded in C programming language, in the file tokenize.c. The function of the parser is to analyze the tokens produced by the tokenizer and further analyze the structure of the statement. It then generates a parse tree. The parser consists of an optimizer that will restructure the parse tree, and searches for an equivalent parse tree to produce an effective byte code program. Once the parser has assembled the tokens into complete SQL statements, it requests the code generator to generate virtual machine code that will further execute the SQL statements request. The code generator consists of multiple files. Code generation for expressions is handled by expr.c and for Where clauses (SELECT, UPDATE & DELETE statements) is handled by where.c. Also, attach.c, insert.c, select.c, delete.c, update.c and trigger.c are the files that handle code generation of SQL statements having same names. The function of Backend engine is to interpret byte code programs and is responsible for the effective database processing. This section is inclusive of four modules. The virtual machine executes the program generated by the code generator. In short, VM module is the internal byte code language interpreter. It can be called as the manipulator of data and i8s contained in a single source file vdbe.c. The virtual machine header file vdbe.h defines an interface between the virtual machine and Sqlite library. Database for a VM is a collection of tables and indices, where table or index is a set of tuples or records. The database is maintained on the disk by B tree implementation that is found within the source file btree.c. Each tuple set is organized by a tree data structure in tree data structure in an ordered manner. It organizes tables and indices in B+ and B trees, respectively. It allows virtual machine to insert, search and delete tuples, create new trees and delete old ones. A page oriented abstraction of the database file is provided by pager module. It maintains a cache of the database pages that are used by B/B+ tree modules. This module facilitates features such as rollback and atomic commit abstraction and also implements locking. The source file pager.c contains the code for implementation of the page cache. So the user can recover the database and can preview all these components and explore the architecture of sqlite using the Sqlite Recovery tool. Undoubtedly, gradual growth in technology is responsible for the widespread usage of Sqlite with every other application, utility, or OS/device. But issues that can break down even the safest database are also growing largely at the same pace. Therefore, a handy Sqlite repair tool has become a necessity to keep and maintain database in the stable state that it was. Recovery and restoration of corrupt Sqlite database provided even though the damage is severe. Detailed preview of Sqlite database components including; tables, views, etc., accurately possible. 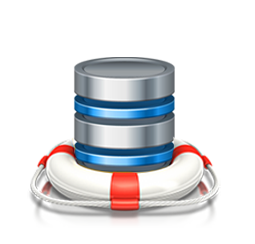 Sqlite DB recovery of all databases supported including a wide range of operating systems (Windows, Apple Mac, Linux), web browsers (Mozilla Firefox, Google Chrome), mobile operating systems (Android, Blackberry, iOS), and smartphone applications (varies accordingly), etc. Recovered database or selective elements exportable as other database formats with mapping option provided. 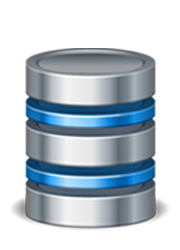 Unlimited size of Sqlite databases processed for recovery as well as export to other database format. Despite of a successful recovery, Sqlite database is of no use unless it has been reconstructed using the restored components and their contents in an integral manner, i.e. without modifications. Being a database format, Sqlite database has an internal structure similar to any other database consisting of tables. As an Access Database file (MDB): Once the application repair corrupt Sqlite database, Access database format can be used for storing the source database contents via mapping of table fields. As a (Native) Sqlite Database File (DB): Post Sqlite database repair output generation of the restored contents is feasible to be done in the native format itself, i.e. Sqlite DB file. Is there a need of any supporting application to run the Sqlite File Repair smoothly? No there is no need of any supporting application to run the software smoothly, as Sqlite Database File Recovery is a standalone application. Is the Sqlite Recovery support window 8/8.1 computers? Yes the Sqlite database repair tool is compatible and functions smoothly with windows 8/8.1 and below versions. Is the recovery of Sqlite database is possible for the database files created under UNIX, Android or any other OS or browsers? Yes the Sqlite file Recovery accomplishes the Sqlite Database Repair for the database files created under any Operating system or browser or any application. Is it possible to use the Sqlite Database Recovery on Mac machine? No the tool is window based application so it can't be installed and used on the Mac machine. Is it possible to recover transaction details from corrupt Sqlite database? Yes the Sqlite recovery software allows recovering all items such as tables, triggers, transactions etc from corrupt database. The Sqlite file repair support DSN option, can I know what exactly DNS option do? Is there any File Size limitation imposed on the Sqlite file Recovery? 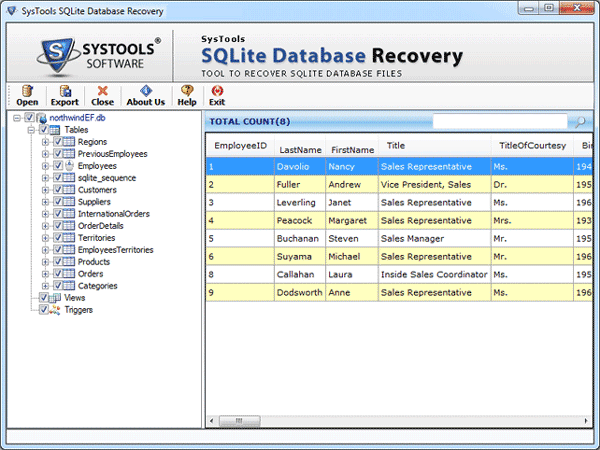 How many recovery operations can be done at once by the Sqlite repair tool? The tool can only recover one database at time? Sqlite Database Recovery software is the excellent one. I have tried the demoware it was good in recovering the corrupt database but not support the export option so I buy the upgrade addition for export and it solves my issue perfectly, I got my corrupt database back and also saved it using the export option for further use. Sqlite Repair software support data type mapping while exporting the database, this feature of the Sqlite repair tool is quiet different and helpful for saving database in other formats without the loss of crucial information. So these helpful features of the tool make it an excellent option for sqlite file repair.